Cancer is NOT a disease but a symptom from some underlying cause. Read the article and find out how cancer and any other illness may be eliminated painlessly and quickly. Check out our other stories in the blog and learn how and what methods have helped many in their elimination of illness and a return to superb health. And how to stay in great health and avoid all those sicknesses and dis-eases forever! The list of things that cause disease can include yeast, mold, fungus, bacterium, viruses, candida, cancer cells, etc. Every living human being has some of each of these floating around in their bodies, including cancer cells. That however is not the problem. The problem stems from an accumulation of toxins that provide food and soil for these cells and organisms to grow in. A tumor is a protective mechanism built by your body to prolong your life. A tumor is actually your friend for the very reason it was built by your body to prolong your life. It is nearly impossible for your body to eliminate all of the toxins that are bombarding you each day. Gradually your bodily fluids have become saturated with acids and toxins that are killing you slowly and making you sick. This is the fish bowl metaphor. If you don’t change the water in the fish bowl, it eventually gets dirty and the fish dies from suffocation. It is all about pH. Oxygen is critical for functioning in the body and preventing cancer. The levels of oxygen drops ten-fold for each full number drop in pH? When pH levels are 3 points lower than normal (which is the case with most cancer patients) oxygen levels are a thousand times less than they should be. Your cells are being bathed in water, just like the fish in the bowl. Your cells can be no healthier than the fluid they are bathed in. Are you bathing your cells in things like soda pop? If you were to take a ten-gallon container of water that tests 7.0 pH and pour in one 16 oz. can of soda pop, the pH of the water would drop by 2.5 points. The average human body contains roughly 10 gallons of water. Is it any wonder that Americans are dying of cancer? vitamins do not function. There is no emphasis on enzymes and people just waste their money taking minerals and vitamins that barely get utilized. Do you remember your chemistry teacher that taught you about saturation? To demonstrate this principle, he or she took a beaker of water and started pouring sugar into it. At first the sugar would dissolve and look like water, but eventually the water could hold no more sugar and the sugar settled at the bottom of the beaker. If toxins settle in the brain, we call it memory loss, headaches, dementia, alzheimer’s, ADD, schizophrenia, brain tumor and a bunch of other “disease” words. If your pancreas gets plugged up with toxins to the point it can no longer make insulin, we call you diabetic. I could go on, but the point I am trying to make is when toxins settle out into a weakened organ or tissue that is unable to defend itself from toxins as readily as the surrounding tissue, (this could be from genetic defect, prior injury, surgery, etc.) the toxins begin concentrating to a dangerous level. The body’s first order of business is survival, so a signal is sent from the brain instructing the toxic organ to start building a protein or fibrin sheath around the concentrated toxins and we call that a tumor. Normal cells will usually start dying due to the heavy concentration of toxins inside the tumor. The only way they can preserve their own lives is to mutate or change into a different life form. We have another name for mutated cells; we call them malignant or cancerous. Unlike a normal, healthy cell, cancer cells never die. They do however, keep growing and multiplying. The toxins inside of the tumor become food for the mutated cells and since there is no shortage of food, they generally grow quite rapidly. The tumor becomes a filtering system for your blood, much like the oil filter on your car. The dirty, toxic blood flows into the tumor; the tumor filters out the toxins and sends cleaned blood back to the rest of the body. The toxins that remain are food for the cancer cells and they continue to grow. Are you content with the idea that cancer is a toxic condition? The human biological terrain is what allows bacteria, viruses and cancer cells to thrive and survive in the human system. Cancer loves the by-products of petroleum! Petrochemical drugs, chemical fertilizers, herbicides, petroleum exhaust from automobiles and airplanes are all food for cancer cells in the human body. Acidic foods like cooked foods, meat, dairy, sugar, bread and flour products all create the perfect environment for cancer to grow in. Artificial sweeteners like aspartame are among the list of the most deadly offenders. We should avoid as many of these as possible, but it is impossible to avoid them all. The mainstream medical treatments such as chemotherapy and radiation add more toxins than the body can handle. The hair falls out, sickness and dreadful suffering occurs. The cancer cells and healthy cells are destroyed. The cancer goes into remission meaning that the toxins are just moved to other areas of the body. Then years later comes back with a vengeance. Trying to cure cancer with drugs is much like the story of the three little pigs. 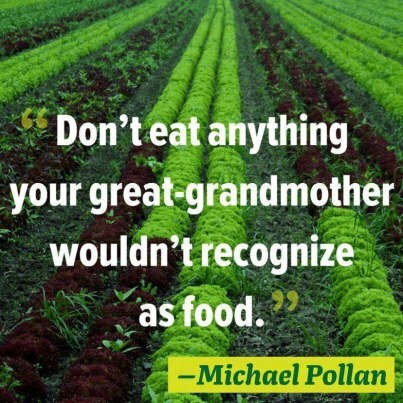 I tell people you can’t build a brick house out of sticks and straw and if you want a healthy body free of cancer and disease, you have to have the building blocks of good nutrition. Drugs made from petroleum-based chemicals have NO building blocks for healthy bodies. In fact every drug listed in the Physicians Desk Reference (PDR) lists anywhere from a dozen side effects to over 100 diseases that every single drug can cause. That’s because they all cause acid in the body, which is food for cancer and a breeding ground for all diseases. Isn’t it comforting to know there is a simple reason as to why people get cancer and a sensible way to take care of it without burning, poisoning or cutting? So how can we clean up our biological terrain or inner environment? By neutralizing the acids and toxins that all of us have accumulated and by providing a good balance of necessary building blocks of nutrition. We must eat a raw or mostly raw plant diet, juicing to supply the nourishment and the enzymes. And specifically supplementing with large quantities of plant enzymes and the proper probiotics to build up the immune system if we want to eliminate cancer or any other illness quickly..
A Natural Cancer Cure addresses the root or cause of the cancer by giving you simple methods to neutralize the acids and toxins that provide fertile soil for cancer to grow in. Hopefully, you are monitoring your pH results by testing your first morning urine sample. Remember Dr. Warburg said that cancer couldn’t survive in a pH of 7.0. A Natural Cancer Cure must also incorporate good nutrition. I think you would agree that your health and energy would suffer if you ate nothing but cardboard every day. The junk food that most Americans live on today is little better than cardboard nutritionally and loaded with toxins. On the other hand, does it bother you to know there is almost no place you can go in America today to get the quality of nutrition that will give you optimum health and help prevent disease? Food that has been picked for 2-3 days is dead and eating dead food leads to death, disease and dehydration. Live food leads to life, health and hydration. If your ultimate objective is cancer prevention or cancer cure, nutrition is a vital element that must not be ignored. We have seen a 100% success with cancer elimination… From death-bed cancer to cancer-free in 60 days… Request the details TODAY!